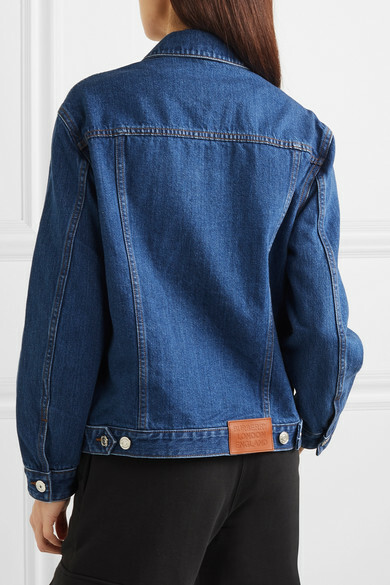 Drawing from Burberry's '80s archives, this jacket is cut from crisp denim to for a slightly loose fit. 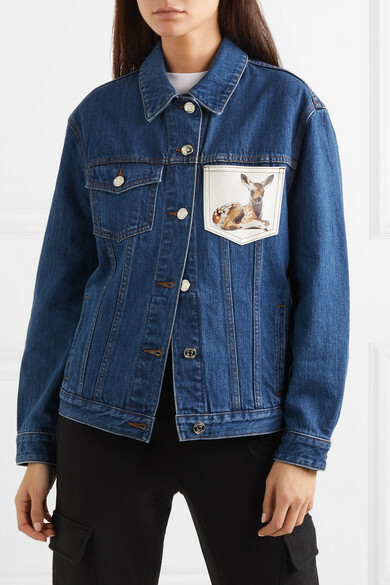 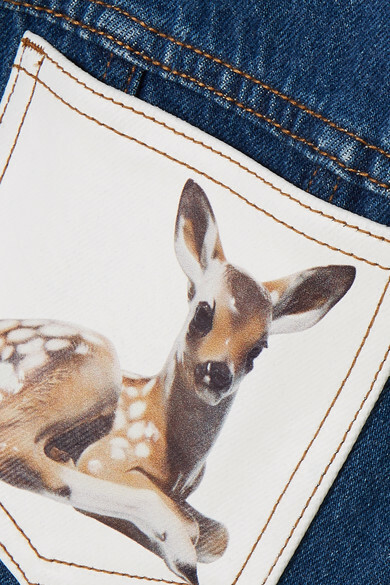 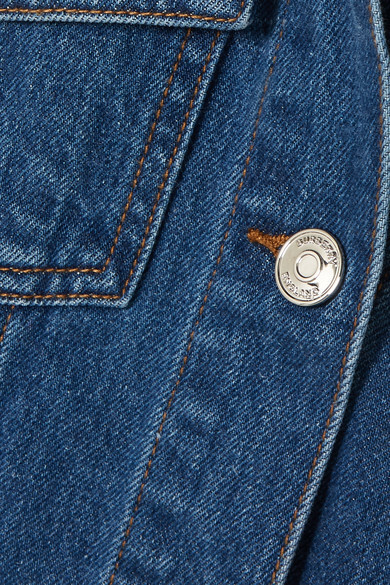 It has a coated chest pocket printed with a ceramic deer (a recurring motif for Spring '19) and a leather patch debossed with the new logo created by Peter Saville. 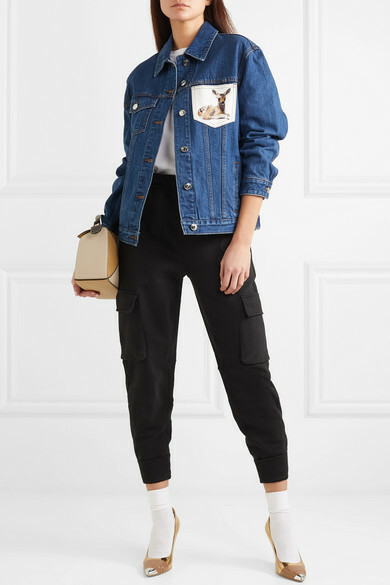 Outfit 1: Burberry Pants, Prada T-shirt, Loewe Shoulder bag, Burberry Pumps, Falke Socks.